to promote a love for reading among 9-15 year-old students. Chapter 1: What’s at stake? In the EU, 1/5 of 15 year-olds are low achievers in reading. Groups at higher risk of poor performances include students from socio-economically disadvantaged families, those with less well educated parents and those from migrant backgrounds. Reading has fallen out of fashion with youngsters all over Europe. Poor reading performance combined with a general disinterest for reading has long-term consequences, both for the individual and for society. Reading is a primary skill, the one that allows us to ‘be’ and live in a complex world, to make free and responsible choices as citizens, to work at a higher level, and to enjoy our lives more fully. Inspired by the Internet of Things, which refers to the possibility of connecting the internet to the world of physical objects, the project wants to connect the physical book to the digital world to turn it into a ‘Living Book’. An intense-lived experience for young readers who can participate, transform and augment what they are reading, thus applying digital competences, collaborating with peers, developing reading skills and, ultimately, being more engaged in book reading. and to help parents back this strategy at home. An e-publication providing a methodological framework for increasing pupils’ reading skills and motivation to book reading, and for making a correct use of digital technologies for this purpose. Open Educational resource that conjugates Reading and Digital Creativity to bring books to life! A “world” of resources for teachers and students across EU and beyond to read, socialise and apply digital skills. 8 modules divided according to the age of students, both for humanistic disciplines and sciences/technologies area. The plans provide teachers with examples and ideas on how to integrate the living book methodologies into their classroom activities. A training offer to equip parent educators and teachers with the required competences to provide professional guidance to parents in how to best support children’s development in reading through the adoption of the Living Book approach. 4 short term exchanges of groups of pupils in Cyprus, Estonia, Romania and Portugal to foster the activation of trans-boundaries communities of young readers. 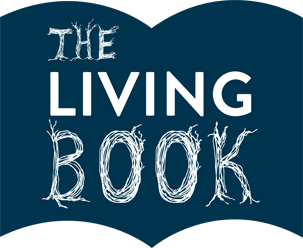 The Living Book needs teachers from different disciplines (Humanities, ICT and Technology) to test our resources! We need you!